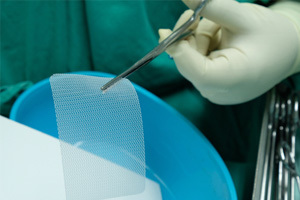 Transvaginal mesh products have been frequently used to treat conditions such as pelvic organ prolapse (POP) and stress urinary incontinence (SUI). However, use of these products has diminished over the past five years as transvaginal mesh manufacturers have faced numerous and hefty verdicts. The most recent transvaginal mesh verdict comes out of Philadelphia where a jury awarded a woman and her husband $41 million in a lawsuit against Ethicon, Inc., a subsidiary of Johnson & Johnson. While hundreds of thousands of women have filed lawsuits against the makers of transvaginal mesh, including, but not limited to, Ethicon, Inc., only a few of these cases ultimately go to trial. 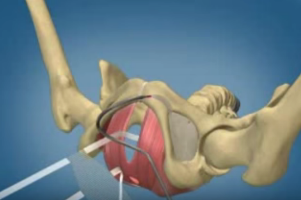 The woman who was awarded a $41 million verdict underwent a total of nine (9) surgeries to correct the defects associated with the three Ethicon, Inc. transvaginal mesh products that were implanted in her. One surgery can be stressful enough, but nine is beyond comprehension for many women, as repeated surgeries to the pelvic and vaginal region take a significant toll on a person both physically and mentally. The pain often does not end after corrective surgery and can last for a lifetime. Many women affected by defective transvaginal mesh products find that their lives will never be the same. Inability to engage in sexual relations. Every case is unique, but a common theme remains that the dangers of defective transvaginal mesh are not short-lived, and juries across the country have agreed, awarding numerous woman multi-million-dollar verdicts to hold transvaginal mesh makers accountable for knowingly selling defective products. Have you suffered complications with a transvaginal mesh implant?